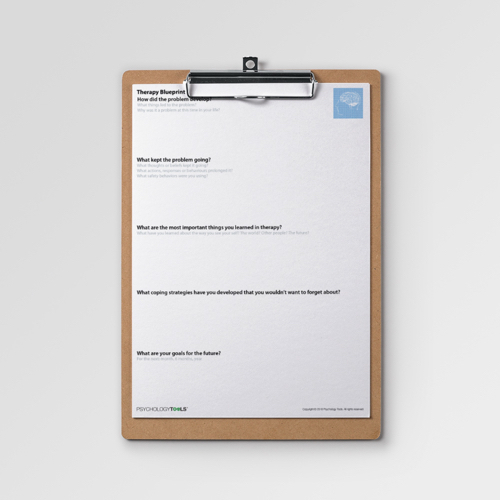 The Therapy Blueprint is an end of therapy relapse-prevention worksheet. 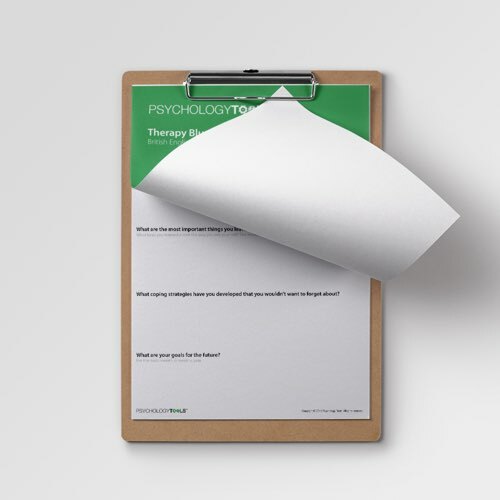 It is useful a a prompt for reflection upon therapeutic work. It can help to reinforce therapy gains by making any learning points from therapy consciously retrievable. 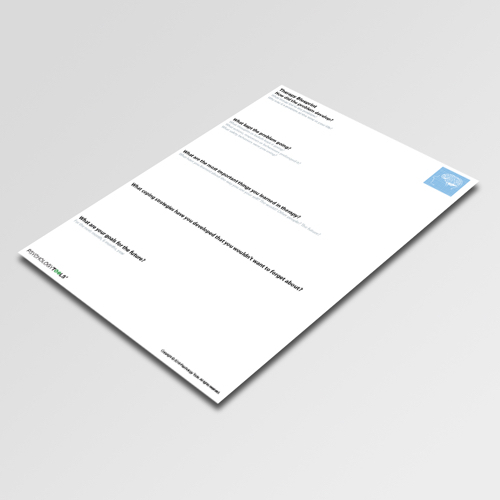 The Therapy Blueprint is a generic end of therapy relapse-prevention worksheet. It is useful a a prompt for reflection upon therapeutic work. It can help to reinforce therapy gains by making any learning points from therapy consciously retrievable. 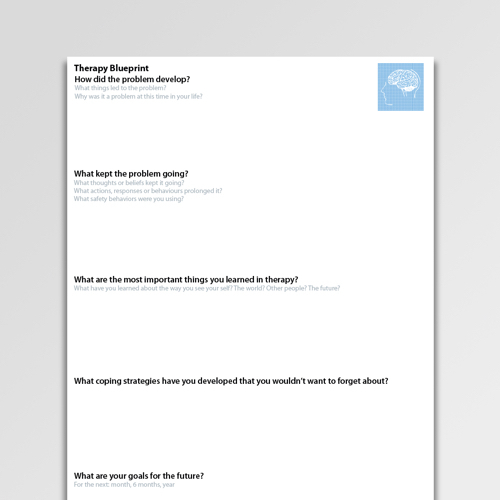 The items on the Therapy Blueprint worksheet can be used as a starting point for a discussion with a client regarding learning points from therapy. Fennell, M. (2009). Overcoming low self-esteem: A self-help guide using cognitive behavioral techniques. Hachette UK.